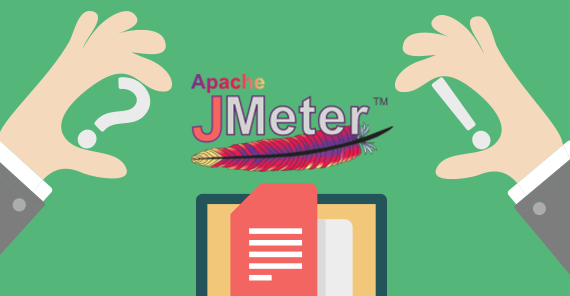 As many of you know, JMeter is an open-source project created by Apache that serves as a load testing tool for analyzing and measuring the performance of a variety of services, with a focus on web applications. But for people who are new to JMeter, and even veteran users looking to revisit it from a big picture perspective, it's beneficial to have one source to find the best websites, blog posts, videos and tutorials that cover JMeter and best usage practices. With that in mind, here is a list of many of the best resources for learning about JMeter and performance testing. I hope this helps you navigate your JMeter journey and get the most out of JMeter and your performance testing. Apache JMeter official website - Pretty self-explanatory, including links to the JMeter community, documentation, changes per version and more. Apache JMeter Wiki - Includes lists of user pages, providers of JMeter support and training, a list of companies that are using JMeter, a list of free plugins, and a whole lot more. The JMeter FAQ - Browse through frequently asked questions, including (to name just a few) "How to do remote testing the 'proper way'? ", "How do I parameterize my JMeter test cases? ", "How do I make parameters dynamic, reacting to the unique server responses of each test run? ", "Can JMeter record HTTPS requests using the recording proxy?" and more. The JMeter GitHub page - Contribute to JMeter development! JMeter Plugins - A custom set of plugins for Apache JMeter, graphs, load shapers and new functions. JMeter Cloud Blog from BlazeMeter - Our favorite :) - All about Continuous Testing, DevOps, JMeter, and more! A ton of information about JMeter, for both the novice and advanced user. TutorialsPoint.com Page on JMeter - A great source for free tutorials and reference manuals on JMeter, including sections on prerequisites, how to test a FTP site using JMeter, writing a test plan and lots more. A valuable reference for Apache JMeter beginners and pros alike. By the end of the 5-day course, you will have a strong understanding of JMeter's capabilities, how to run custom load and performance tests, and best practices to help you quickly become a JMeter expert. A webinar by BlazeMeter which in just 1 hour covers a lot of material, but also serves as a really great introduction to using JMeter. It's a great resource for getting started with easy to follow step-by-step instructions. Go from zero to writing complex login scripts with CSV support in under an hour. The video looks at a high overview of what performance testing is, understanding how JMeter works, creating a simple static script, recording actual browsing activity and more. This video can teach you the exact steps and best practices for running load and performance tests at any scale using JMeter, from 10s of thousands of concurrent users to millions of users (any amount you want really). This webinar recording will help you make that jump from JMeter beginner to JMeter pro, looking at threads, ramp-up & loops, JMeter optimizations, concurrent users vs. requests per second, functional testing & testing for errors and third party plug-ins. This webinar recording shows how to detect errors instantly and deliver software rapidly by automating testing throughout the Continuous Integration (CI) process by using Jenkins, JMeter and a new open source test automation framework called Taurus. When it comes to performance testing, JMeter is fantastic...but not perfect. Automation and integration with other systems can be a pain, and the tool itself comes with a steep learning curve. But there are ways to overcome all these challenges. This webinar recording takes a deep dive into Taurus - an open source project that makes performance testing easy and adds advanced control of JMeter tests with real time web based reporting! A lot more great educational videos, including "How To Login Into A Web Application", "Using Dynamic Data from a CSV File with JMeter", and more. The JMeter Academy will teach you everything you need to know about JMeter, from a user friendly one-stop portal. While there are many resources you can learn JMeter from, they are often uncoordinated. The JMeter Academy offers a clear learning plan, taking you from A to Z. The academy courses include videos, demos, lab guides, and a test, ensuring you understand how JMeter works and how to use it.